BASIS Independent Schools are celebrating an important "first" this year. This spring, our very first graduating class will accept their diplomas here at BASIS Independent Silicon Valley. Did you know that BASIS Independent students take a daily college counseling class their senior year? The seasonal visits from college representatives just wrapped up here at BASIS Independent Silicon Valley. The BASIS.ed network of schools now has a significant track record of sending great students to the top universities and colleges in the nation. That is why, despite being a new school, we just had 48 of those colleges and universities come to meet our students, including most of the Ivies. Harvard just rounded out the season for us. There is a network effect at play here. We are a new school, a community to itself, but we are also part of a larger community of learning whose graduates have established an extraordinary track record with the most elite schools in the nation. Talk with a college admissions officer and the light goes on and they realize they know us, know our program, our rigor and our emphasis on mastery and student autonomy, and above all know our students and what they can bring to their campus life. The typical letter that a school sends out at this time of year ticks a couple of important boxes. Thanks to the faculty who wrote all those letters! Thanks to the students for taking charge of their own process! And yes, there is the gentle reminder that the college process today, as it has been for over a generation, is highly competitive, uncertain and somewhat opaque. This is what the University of Chicago Director of Admissions tells prospective students when they assemble in the beautiful campus chapel: the University of Chicago could admit over 4 complete classes and no professor on campus would be able to tell if the admitted class was the first or the 4th to be accepted. Such anecdotes are helpful, but it is better not to wallow too much in the cold and sweaty data. At BASIS.ed we like to focus on that which is in our control. All our students in grades 9 – 12 can attend these college visits. This practice is as old as the first BASIS.ed high school class. It never seemed a credible pedagogic plan to postpone the wrestle with the most significant decision a student must make by that point in their lives to junior year. The liberal arts were founded to prepare the young (male and free only then sadly) to assume the responsibilities of full citizenship. The BASIS.ed college counseling program takes that idea at the core of the liberal arts seriously. For us college counseling is a required daily class in senior year. 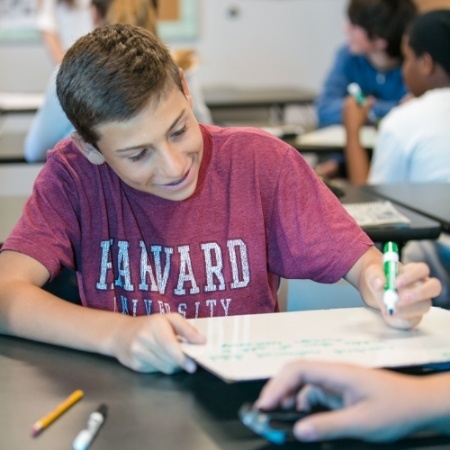 We love to see 9th graders begin to think about where their amazing energy and work ethic might propel them. Talk to a senior and of course they will be happy to discuss the cold, forbidding data. But get beyond the “Scary Movie” and what begins to emerge is a sense that they have also earned some significant insights about themselves and their dreams. They can articulate their thoughtful measurement of how they would like their lives to develop and what they must do to build that future. In other words, these young people have begun to acquire something we, as a culture, tend not to associate with the young: wisdom. Explore the list of schools that came to visit BASIS Independent Silicon Valley this season. A special thanks to Dean and College Counselor, Mr. Chris Wilcox for his tireless efforts in guiding and helping our students shine!